Now, caught on camera...A pilot struggles to regain control of his aircraft. This footage shot by a plane spotter at an airport in the Moscow region shows a Tupolev-154 appartently going out of control shortly after take off. 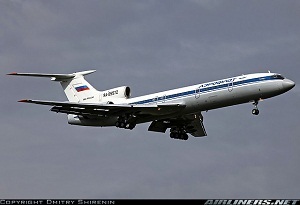 No passengers were onboard the Ministry of defense plane at the time. The film released on the Internet has bloggers praising the skills of the pilot as he manages to regain control and land safely. Aviation authorities are investigating the incident.